The Paint Editor is Scratch's built-in image editor. Many Scratchers create their own sprites and backdrops using it. These images can be used in many ways, each having its own impact on its project. This is one of the features that makes Scratch different from many other programming tools, because many others do not provide a built-in image creator. The left-most part of the paint editor is the costume pane. It consists of the buttons for creating new costumes as well as icons for each costume and the costume number. In the costume pane, each costume of the selected sprite is listed. To edit the different costumes in the paint editor, simply click on the desired costume from the pane. The pane can scroll if there are too many costumes to vertically fit its size. At the bottom of the costume pane there is a blue cat icon. Hover over it and four options will pop up. You can choose a sprite from the library, draw your own, upload an image file from your computer, take a picture, or choose a "surprise costume", which picks a random costume from the costumes library. In the costume pane, the currently selected costume has a blue box around it and you can see an "x" button on it. The canvas of the paint editor only displays the currently selected costume. To access the different costumes of a sprite, click on the thumbnail of the desired costume from the costume pane. Then, the canvas will display the newly selected costume and allow for its modification. At the bottom-left of the paint editor is the option to switch to the other (bitmap or vector) editor. When converting the images to the new editor, or new format, the program has to manipulate them. The option to convert to the vector editor. When converting a bitmap image to the vector editor, the entire bitmap image becomes one united, single object in the vector editor. It contains its bitmap appearance, but the difference is when resizing the converted bitmap image. The vector editor resizes all objects differently than the bitmap editor, often more accurately to the original display. Any shapes converted from bitmap to vector do not transform into a vector shape or obtain splines; the program reads it as before. The option to convert to the bitmap editor. When converting a vector image to bitmap, any objects that extend off the canvas will no longer be included; only a 480x360 resolution image can be created at maximum in the bitmap editor. Unlike from bitmap to vector, vector graphics lose the properties that are unique to them. Specifically, anti-aliasing is removed. Therefore, a smooth vector object may become very jagged and pixelated in appearance. Caution: After converting from vector to bitmap, converting back to vector will not retain the vector properties as the objects had before; however, undoing will bring back the properties. These are all located above the costume. All of these are common to both the vector and bitmap editors. The Scratch paint editor has a color dropdown that has three sliders that can be used to select colors: color, saturation, and brightness. It is found in the middle-left side of the editor. Above the three sliders, there are four options. These allow you to blend an area between the two selected colors. If you click one of the options other than the solid color option, two selected colors are shown. Click on each one to edit it seperately. If you fill in an area using one of these options, it is called a gradient. Selecting "Swap" between the two colors switches their order. Changing the color slider changes the hue of the color (for example, from red to blue). This tool is the most used, as it has the largest difference between colors. The saturation of a color is how light it is: 100 saturation is the color selected, 50 saturation is a lighter color, and 0 saturation is totally white. This option changes how light or dark the color is. The left is completely black, while the right is the selected color. At the bottom right, there is an icon that allows you to pick up a color from the costume, sometimes called the "eyedropper". It will magnify the the area the mouse-pointer is near. On the outside is the color you are hovering over. Click to select it. In the middle of the paint editor is the pen size bar. It is marked by a paintbrush icon. There is an input to select the pen size. Type in the size or use the arrows on the side to change it. The higher the number is, the thicker the line will be. To name a costume, just click on the text bar at the top-left of the paint editor and enter the new name. The name of the costume is important for organization and also in programming the project at times. It is best not to name costumes as just numbers without any other characters because it causes confusion with the costume blocks; this is due to each costume having both a name and numerical order value in the costumes pane, so switching to costume "2" could mess up if the third costume was named "2". To the right of the outlines there are two options: copy and paste. The copy option copies the region that is selected, while the paste puts it somewhere else. This is especially useful when one needs to duplicate an item. You can use ctrl + c to copy as well and ctrl + v to paste. To the right of the costume name are two buttons called undo and redo. These buttons allow you to make it as if the last action never happened and repeat the undone action respectively. The redo button cannot be used unless the undo button has been used. If no actions have been taken, neither button can be used. If you change from the costume editor to something else, your actions will be permanent and can only be undo manually. The keyboard shortcut for undo is ctrl + z. These options are unique to the vector editor and are not found in the bitmap editor. In the vector editor, when an object is selected, the arrow keys can be used to move it precisely one pixel. In the bitmap editor, a section grabbed with the select tool can also be moved with the arrow keys. This can be useful for making exact, precise measurements or aligning objects in an organized, structural pattern. To the right of the color dropdown, there is a dropdown that changes the outlines of objects. It also has the three sliders; however, you cannot blend two colors in currently. To the right of that dropdown is an input to select the thickness of the outline. You can type in a number or use the arrows to change it. The layering of Giga in front of Nano. The paint editor also includes the feature of layering objects in the vector editor. Layering objects is placing them in front or behind one another. At the top-right will be four buttons which allow you to layer objects in front or behind another. On the left side, Forward and Backward move objects one layer at a time, while Front and Back move them to the very front or back, in front of or behind all other objects in that costume. Note: You can only layer objects, not individual splines. When there are many objects that you need to move at once, it can be useful to group them. Use the select tool to select a specific region of the costume, and click group. These objects are now one object and can be moved together. The ungroup button does the opposite; one grouped item selected can be broken up into smaller portions. From left to right, top to bottom: No flip, horizontal flip, vertical flip, horizontal and vertical flip. When you select an object, there is the option to horizontally and/or vertically flip it. Flipping an object reverses it. In advanced terms, when an object is flipped, it takes each pixel and sets it in the opposite location of a center with the origin of (0,0). At the top of the editor, there are two tool that look like two arrows pointing to a dotted line. The one on the left flips the selected object horizontally, and the one on the right vertically. When using the reshape tool, there are two options to the right of the outlines that makes the splines either curved, like an oval, or pointed, like a rectangle. This is useful when creating shapes with both curved and pointed edges. If more than one point is selected (hold the shift key and click more than one), all selected will apply the specified change. Vector tools, unlike bitmap, create splines instead of an array of pixels to store costumes and backdrops. Many of the tools, though, work in a very similar style. They are found to the left of the costume. The first tool, the mouse-pointer tool, is used for modifying the location of an object, stretching or compressing it, or rotating it. When an object is selected with this tool by a mouse-click, a blue box will appear around it and the object can be moved by grabbing the center and moving the mouse. Rotation is accomplished by dragging the two small arrows below the box. The object rotates in relation from the object's center to the rotation circle's position. Lastly, objects can be stretched and compressed with the measurement boxes that appear on the outer edge of the selection box. Note: to select multiple, ungrouped objects as a whole, click the mouse in a blank area and a box will drag around the desired area; then all objects the box touches will be selected. An image, edited with the reshape tool. This tool is used for bending or changing the shapes of a spline in the editor by grabbing the points with the mouse and moving them around. In Scratch 2.0 and earlier, there was a "Smooth" button that removed some splines. Click on a spline without moving it to remove it. Hold shift while selecting splines to select multiple. If you have a closed shape that is filled in, if you break the shape (open the polygon) the fill color will go away. You can remove the spline you are editing with the delete key or backspace key. Click on a line or border of a shape where there is no point to add one. When a spline is clicked, two options will show above on the tab: curved and pointed. These change the spline to be either curved or pointed. When a spline is clicked, a blue line with diamonds at each end will show up. Pull this to affect the line on either side of the spline. The spline tool acts as the paint brush tool for the vector editor. However, instead of creating pen marks on the canvas like in bitmap, it creates splines, mathematically calculated and stored shapes, which will not become pixelated and can be modified using the reshape tool. To draw, hold down the mouse on the canvas. Drawing from an existing point on an existing spline will automatically match the size and color to the existing spline and also connect the splines together. The eraser pushes splines within its range outside of the circled area. This tool was first introduced in Scratch 3.0. It is different than the bitmap eraser tool because it leaves the same outline as the spline it erased had. The paint bucket tool can often be confusing because instead of filling in a region it only fills in vector objects. For example, you cannot fill in the blank background of a costume or backdrop with the paint bucket in vector because it is not an object. When the paint bucket is selected, click on any object's interior or outline to manipulate the color to the currently selected one. Note: One cannot fill in any closed area with the vector paint bucket because it must be an object. When filling in backgrounds, it may be best to perform the action in the bitmap editor first and then switch to vector. In bitmap, any region, closed or unclosed to the background, or the borders themselves, may be filled, but in the vector editor the splines must be connected into a uniform, closed-in object. The paint bucket cannot be used to fill in outlines, as it could in previous versions. The fonts in the vector editor. The text tool is used to type characters onto the canvas, which can be resized after completion. To type text, click anywhere on the canvas; when a cursor appears, begin typing. One can set the horizontal and vertical boundaries of text by moving the resolution boxes that appear around the text box. Click on a blank area to exit the text editor once finished. To resize the text afterward, select it with the mouse-pointer and drag the measurement boxes to have the text reach the desired size. Text can be edited after exiting the text editor by clicking on existing text with the text tool. The Text Tool has nine available fonts available in the bottom-left of the paint editor to select from: Sans Serif, Serif (Times), Handwriting, Marker, Curly, Pixel, 中文 (Chinese), 日本語 (Japanese), and 한국어 (Korean). More fonts can be obtained using Google Drawings by making a drawing, typing the desired text in, choosing the font, downloading the image, then importing the image into the desired sprite in Scratch and resizing or moving the text to fit one's need. Note: Due to a bug, Sans Serif fonts may display as a large Serif font. Edit the font and save the project to fix this. Sometimes, that doesn't work, so just use the Chinese, Japanese, or Korean fonts instead, as they all look very similar to the Sans Serif font. The line tool is used for drawing straight lines in the vector editor. A line consists of two points of the spline: one in the beginning and one at the end. To draw a line, click and hold the mouse, and release to draw the line from the starting point of the mouse-click to the release point. Note: to draw a curved line, you must first draw a straight line, select the reshape tool, and shift-click anywhere on the line to create a new point which forms a curve on the line. The circle tool is used to draw ovals or perfect circles. This can be done by clicking and holding the mouse on the canvas. Then, an oval will form in relation to the mouse's starting and ending coordinates. To draw a perfect circle, hold the shift key while drawing with the oval tool. The rectangle tool is used to create a geometric rectangle (4-sided with right-angle corners). When the tool is selected, the rectangle can be drawn clicking and holding down the mouse-pointer, then releasing. The rectangle has four points on it, each at a corner. To draw a perfect square, hold the shift key while drawing with the rectangle tool. The bitmap editor's tools are similar to the vector editor's, but instead use a grid of pixels on a region instead of spline creation. All the bitmap tool icons are pixelated. Due to not using splines, these images are pixelated and do not have as many tools available. The paint brush is a tool simply for drawing wherever the mouse-pointer is clicked. The color and size modify the display of the paint brush's pen marks. To change the brush's size, simply go to the slider at the bottom left-hand corner and change it to your desired size. The line tool is used for drawing straight lines. Prior to Scratch 3.0, holding shift would make the line perfectly horizontal or vertical. There was a bug with the shift feature where the line actually ended up where the mouse-pointer was, not perfectly straight. Currently, holding shift allows you to make lines at perfect benchmark angles (such as 90 degrees, -180 degrees, or -45 degrees). The oval tool, commonly known as the "circle" or "ellipse" tool, is used for creating ovals of any shape and size. Just like the rectangle tool, when the oval tool is selected there will be two buttons in the bottom-left of the paint editor. The first is used to create an oval with a hollow center, and the adjacent one is used to create a solid, filled-in oval. The oval tool can also create perfect circles by holding down the shift key while drawing. Note: The oval tool icon is actually an octogon, because of how the image was pixelated. The rectangle tool, commonly known as the "square tool", is used for drawing rectangles (4-sided, geometric shape with all right angles). These rectangles can either be solid or transparent in the center. When the tool is selected, to the right of the color selection will be two buttons, one consisting of an outlined rectangle, and one consisting of a filled one. By default, the filled one is selected. This means that any drawn rectangle will be one solid mass. If the button consisting of the outline rectangle is selected, the shape drawn will have an open, see-through center. The text tool is used for typing text into a costume or backdrop. When the tool is selected, click anywhere on the canvas for a cursor to appear. Then, you can type in a desired text. To modify the size of the text, you must drag the small size buttons (tiny squares) to the desired measurement. You can also, with these buttons, stretch and compress your text, but this can only be done after finishing typing. However, you can only resize the text once. When typing, the text appears just like vector, but when the text is deselected, the words become pixelated. There are nine different fonts available to the right of the color selectors. In Scratch 1.4 and before, fonts were loaded from the computer, which meant that the user could choose to use any font they please. However, this was removed in Scratch 2.0, as it included an online editor that could not load the fonts from the computer. The paint bucket is used to fill in any closed region of a consistent color with one solid color. This can be accomplished by clicking in the desired area on the canvas. The color spreads everywhere that has the same color on it. Caution: If your shapes have small holes in them, the color will spread out of the shape. Check for any holes before using this tool. The eraser tool is used to remove (or erase) a clicked area on the canvas. The colors that are erased are replaced with no color, meaning that area is see-through. Unlike the vector eraser, it does not leave an outline. The select tool (formerly the screen region grabber) is used to grab an area on the canvas and relocate, stretch and compress, or modify it in some way. This can be done by clicking and dragging around the desired area. Then, a blue box will appear around that area. If you grab the center of the dotted box with the mouse, you can move the section around. Also, you can stretch and compress it with the measurement boxes that appear around the outside. Rotate the section with the blue arrows located below the selected region. The resolutions (width by height in pixels) of your costumes and backdrops are shown underneath the costume names in the costume pane. The scroll bar can be used to quickly pan around an image in the paint editor. It typically will pan vertically, but if the shift key is held down, the scroll bar will pan about the image horizontally. Costumes and backdrops can be renamed at the top by typing in the text box. To zoom in or out, click on the magnifying glass tools in the bottom-right. The one with the "+" zooms in and the one with "–" zooms out. The button between them sets the zoom to 100%. Zooming in when drawing can help to create smoother lines than when zoomed out. If you make a mistake, you can click the undo or redo button at the top. To delete a costume, click on the "x" located at the top-right of the icon, or right-click or shift-click on the costume's icon in the costume pane and select "delete". To duplicate a costume, right-click the desired costume thumbnail. From the pop-up menu, select "Duplicate". To place costumes and backdrops in a desired order, drag their icons to another location in the costume pane. To fill in the background of a costume or backdrop in the vector editor, create a large rectangle around the borders of the editor, and then fill the space and edges in with the desired color using the paint bucket tool. Objects and pixels can be placed or drawn outside of the canvas in vector mode, although they may be cut off, as in backdrops, on the stage. 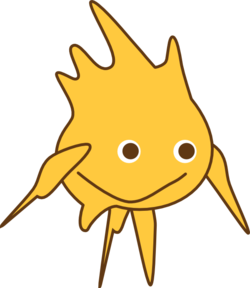 To break the stage edges in Scratch 2.0, meaning for a sprite to move freely past the borders, you would create four vector shapes, fill them transparently, and drag them to each outermost edge of the canvas. Doing so would not physically allow the sprite to move at an infinite location off the stage but far enough to remain unseen, portraying the same sense. The following table provides a list of publicly announced updates to the paint editor mainly on the forums. There are many other edits unspecified directly by the Scratch Team. 2019 January 2 Paint editor updated to Scratch 3.0. The information on this page is about this version. All previous information can be found at Paint Editor (2.0). This page was last modified on 16 March 2019, at 13:04.